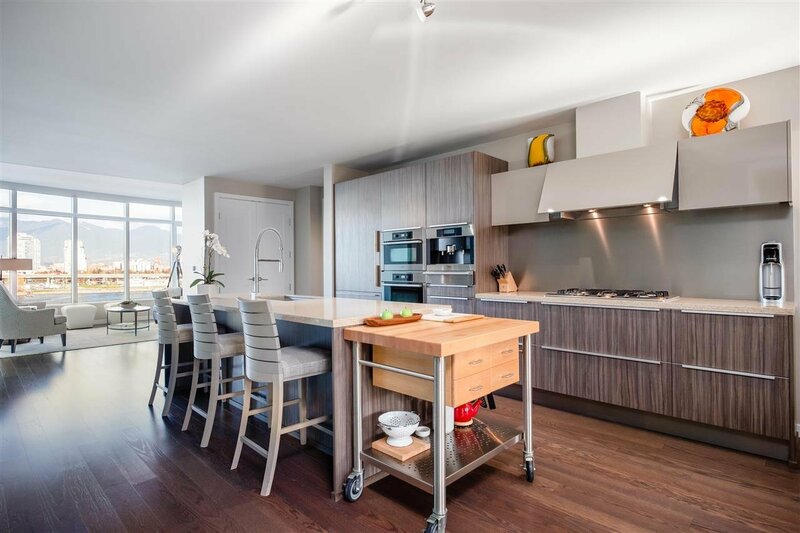 Description: 'Front & centre row' at SHORELINE in The Village! 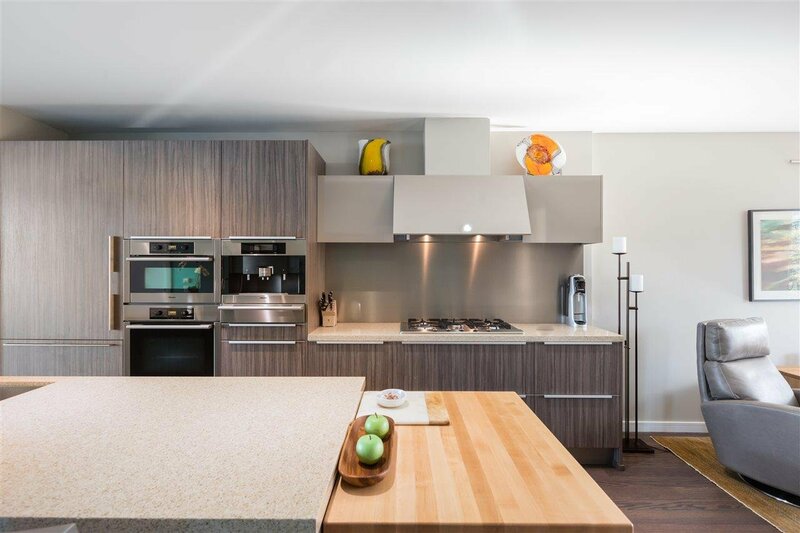 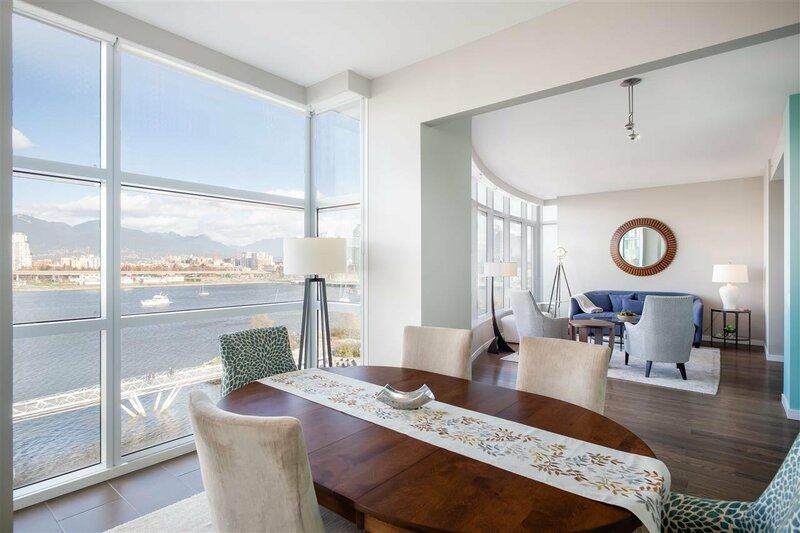 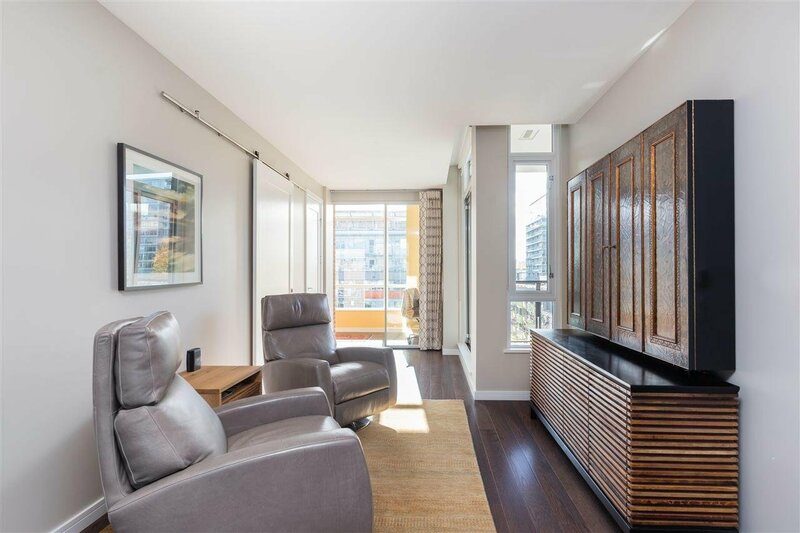 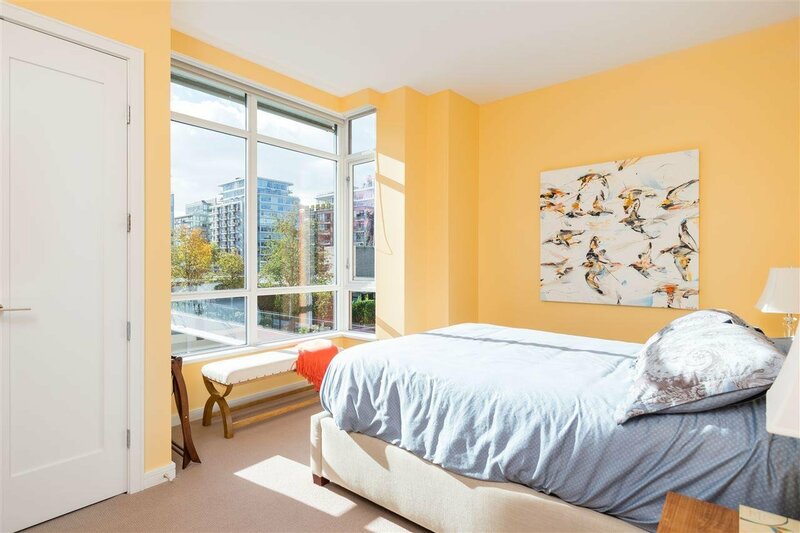 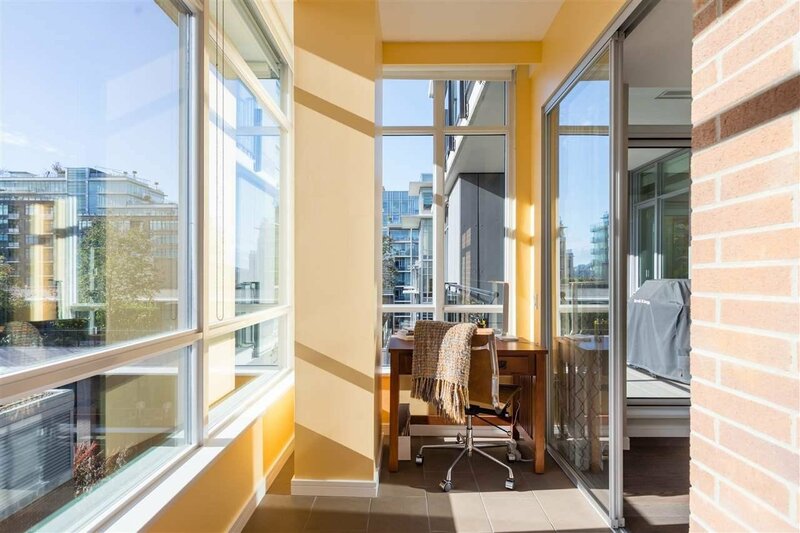 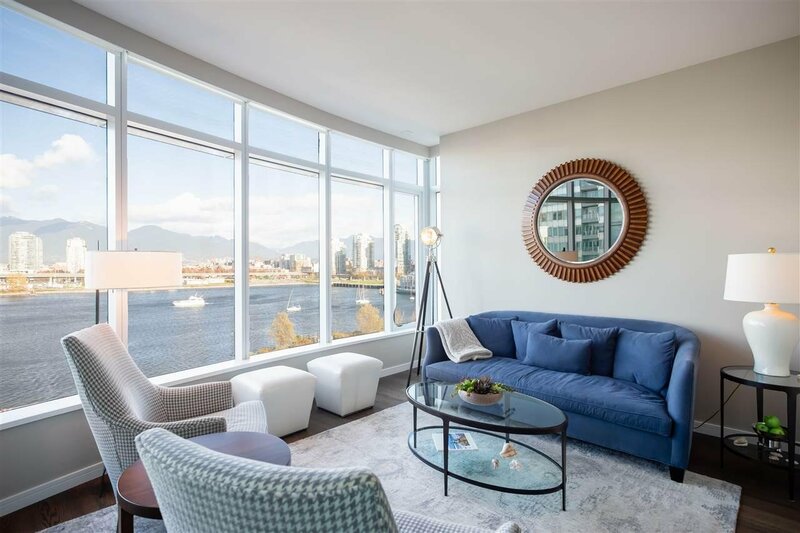 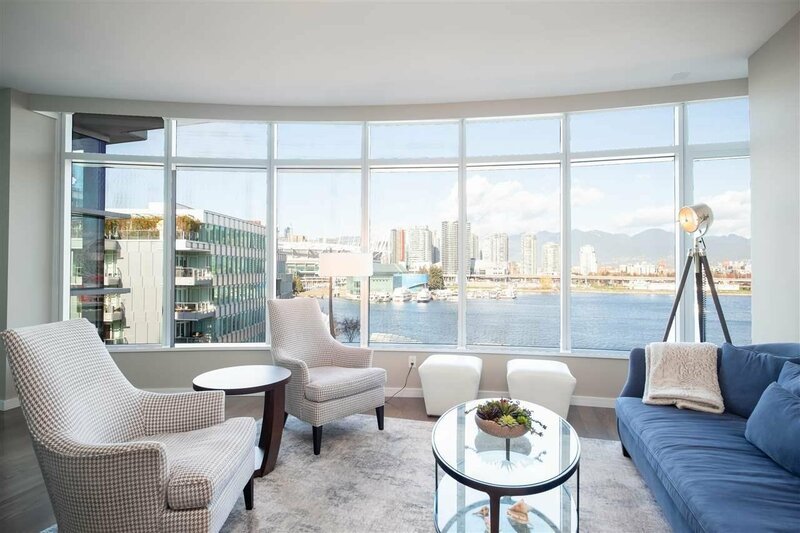 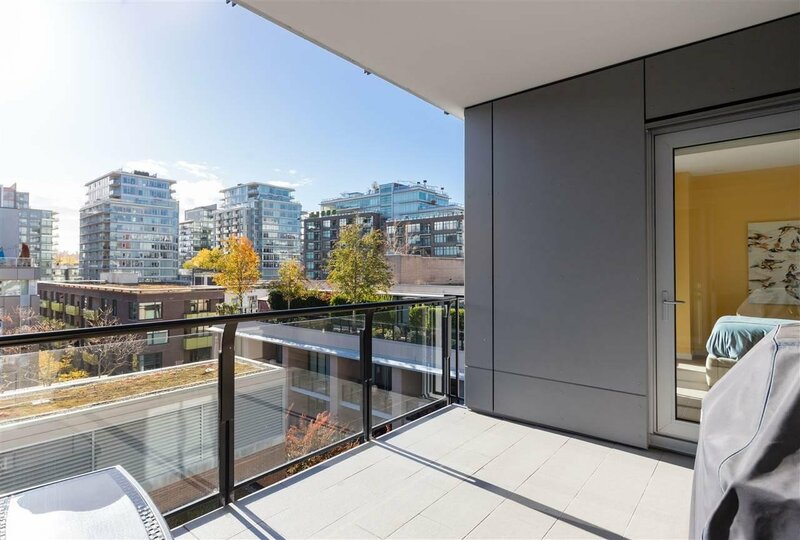 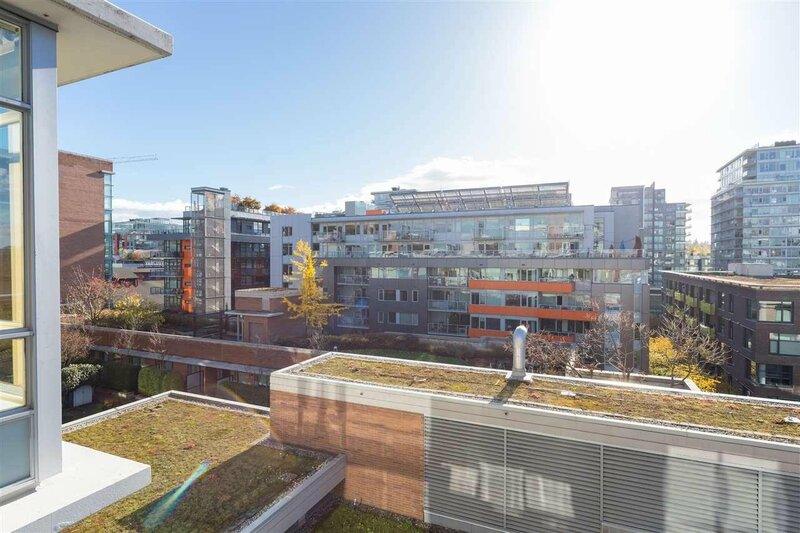 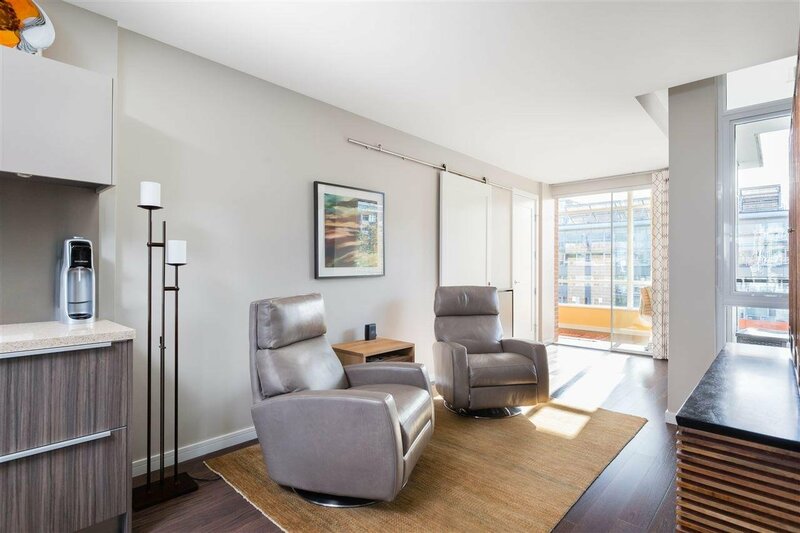 This gorgeous 3 Bedroom + Den + 3 Bath home on the 6th floor clears treelines offering unobstructed panoramic & breath-taking views of the North Shore Mountains, quintessential Vancouver city skyscape, & waterfront seawall! 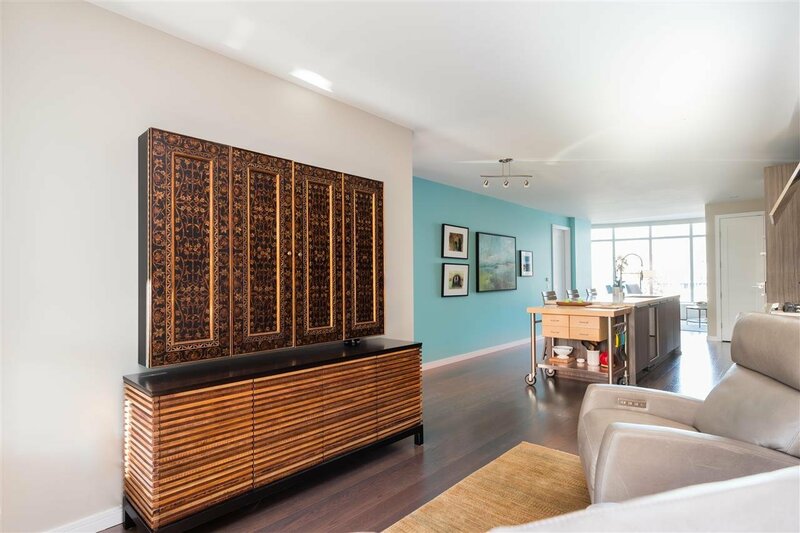 With 2,021 sq.ft. 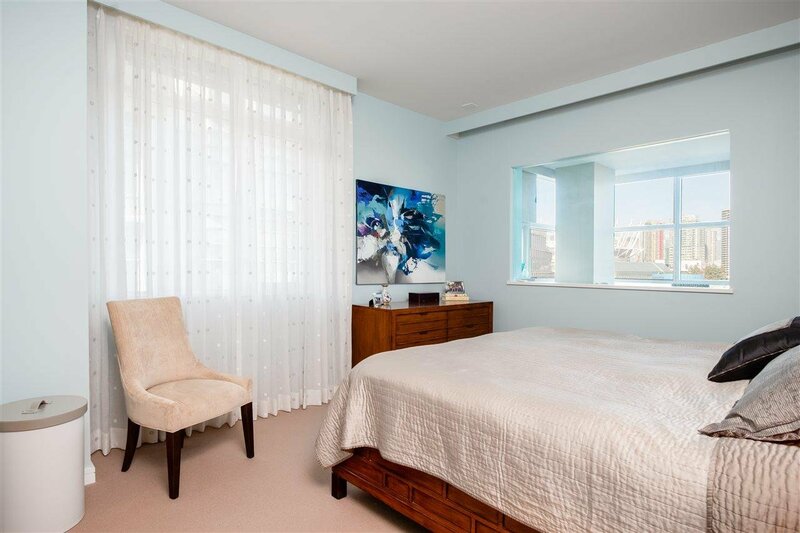 of living all on ONE LEVEL, this meticulous home features windows on both South & North outlooks providing natural lighting year-round. 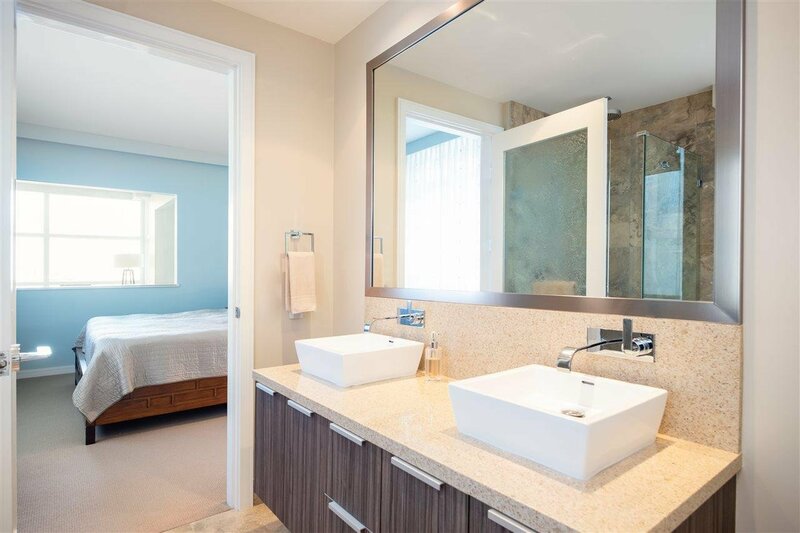 As the only home on the floor, enjoy your private & secured entrance foyer. 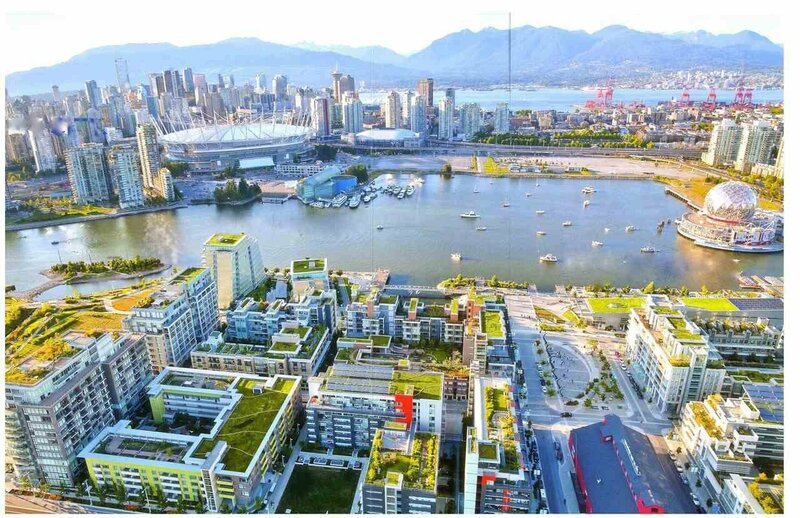 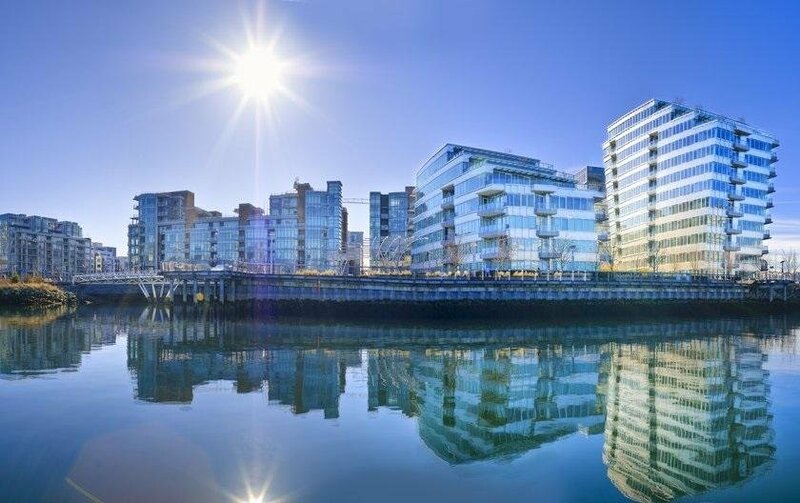 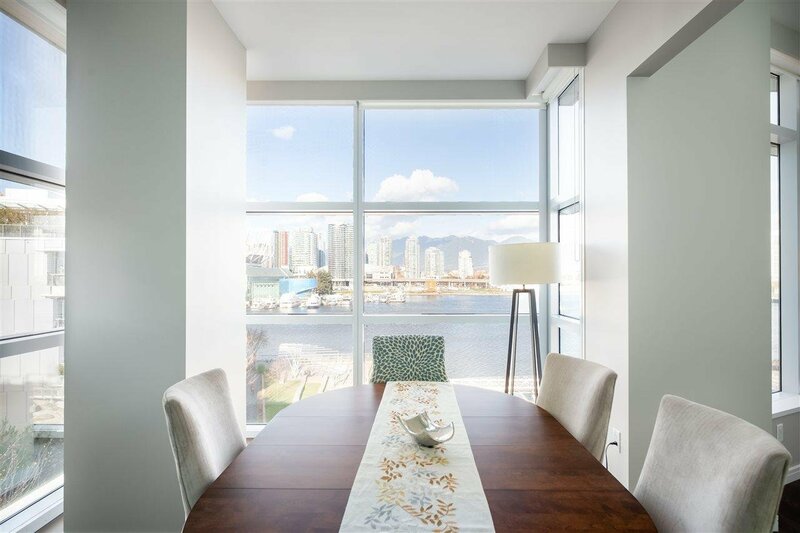 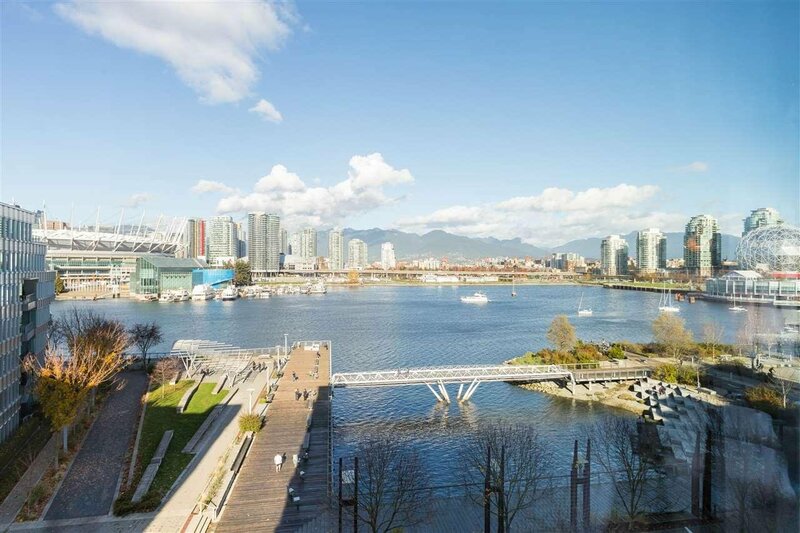 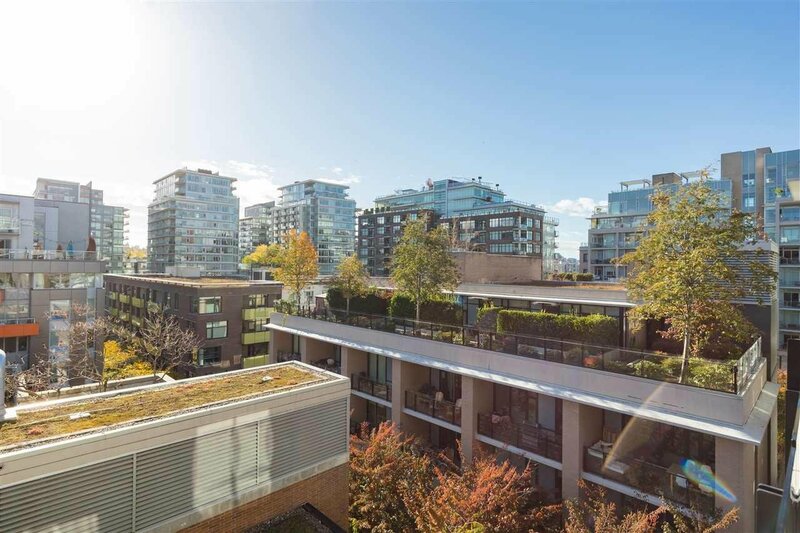 'Shoreline' is situated in the heart of Southeast False Creek, centrally-located to the Creekside Recreation & Community Centre, the Plaza, Terra Breads Cafe, Urban Fare, London Drugs, Legacy Liquor Store and more! 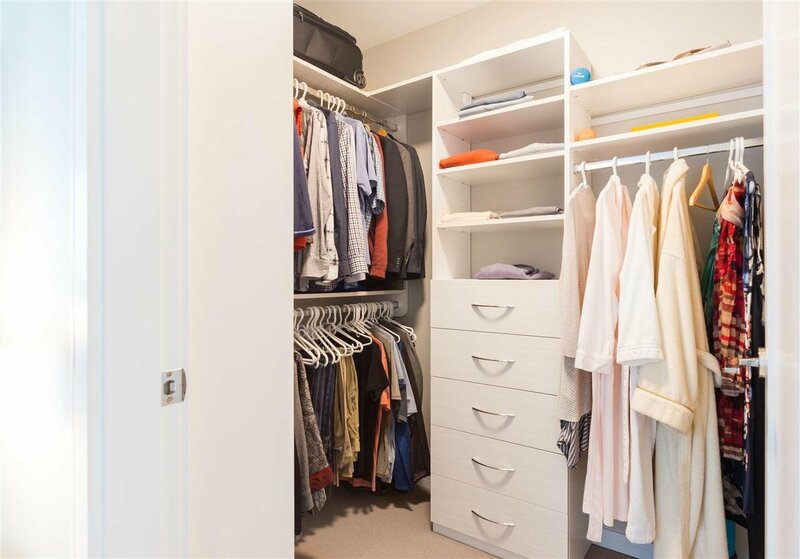 Includes 2 parking stalls & large storage locker.